At NeweggBusiness, we like obscure devices; we sell over 120,000 items, naturally some of them will be pretty obscure. Did you know we sell four different models of 1.44 MB floppy drives? Need a radar detector? Point of story, we know that technological inspiration comes from odd places–at least it seems that way looking back on the devices that proved to be prototypes of our most common business tech items. From PCs, to networking gear, to laptops, to smartphones, let’s take a look at five bizarre ancestors. 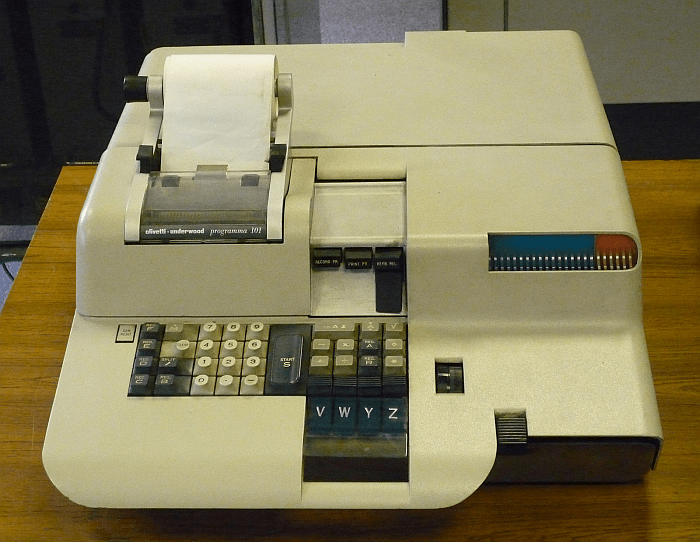 At the 1964 World Fair, Italian manufacturer Olivetti introduced a machine that performed basic arithmetic functions—division, multiplication, addition, subtraction, square roots—and stored 16 conditional jump instructions. It was the jump instructions that made it a state machine rather than a pure enumerating device, letting the Programma 101 claim the title of the first desktop computer. “Computer” wasn’t a glamorous moniker in the mid-‘60s; Hewlett-Packard advertised their Programma-inspired 9100A model as a “portable calculator” due to the technophobia of the time—some feared that the mainframe computers being introduced into the business world at the time would cause large-scale unemployment. The machine that Apple Macintosh traces its lineage back to boasts an impressive list of firsts: The first WYSIWYG (“What You See Is What You Get”) graphical user interface for word processing; the first markup bitmap editor, a predecessor to MS Paint, and the first to utilize a mouse. On top of that, it was network-ready–Alto Trek (1978) is regarded as the first multi-player network game. It has a mouse-controlled user interface and vertically-oriented rectangular screen. It was used solely at Palo Alto Research Center (PARC) and a handful of university labs. In the early ‘80s, Xerox entered the consumer market with an updated model that was mouse-less with a square-screen, lost to the Macintosh, and quit the PC market shortly thereafter. Modern routers trace their roots back to the husband and wife team of Len Bosack and Sandy Lerner who each managed computers for Stanford University in the late-’70s; Lerner at the Graduate School of Business, and Bosack in the computer science department. 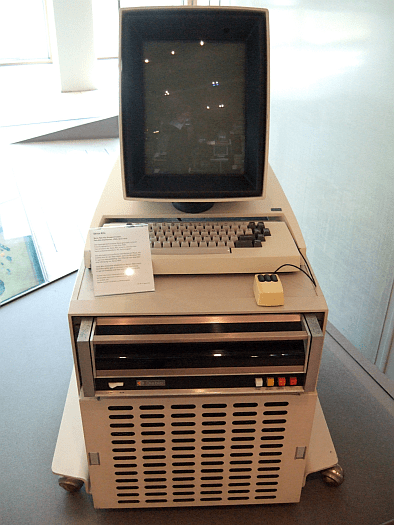 There they developed a luggable blue box that functioned as a multiprotocol router–with the help of a few grad students, which included Andy Bechtolsheim, who later founded Sun Microsystems. Bosack and Lerner refined the product and used it to launch Cisco Systems in 1984. Years of legal wrangling between Stanford and Cisco ensued. You can probably guess the outcome. 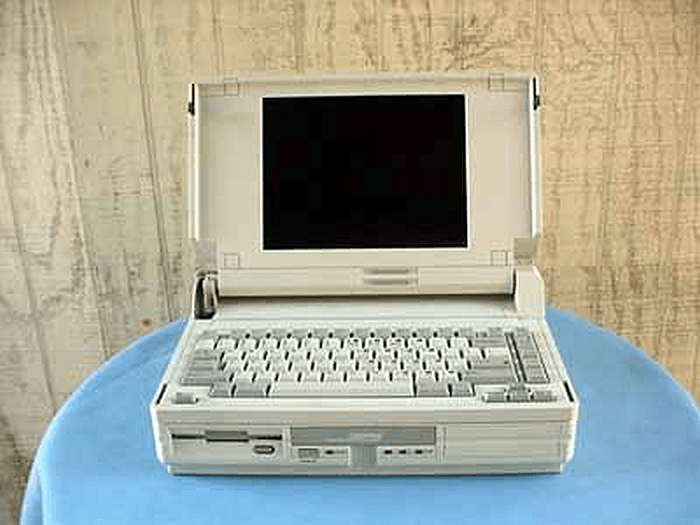 There are older microprocessor-based portable computers like the Osborne 1 and the MS DOS-based Dynalogic Hyperion, but laptops really started to look like laptops with the release of the Compaq SLT 286. It had the thickness of a Nintendo Entertainment System, and it ran on battery power. The GridCase machines did too; they actually outdate the SLT 286 by a couple years, but the SLT 286 has the distinctive laptop look: a clam-fold screen and passive matrix display that ran early Windows versions in greyscale. 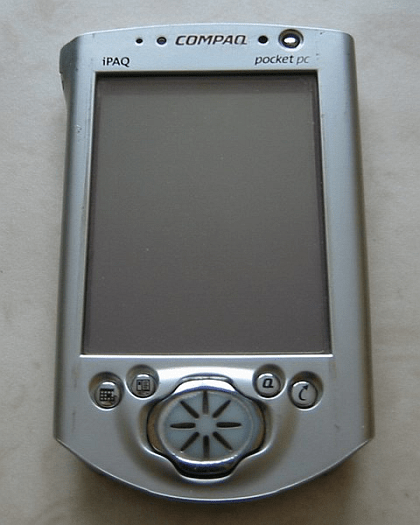 Back when you carried a PDA in one pocket and a small flip-phone in the other, Compaq released the iPaq pocket PC device that could be both—sort of. By itself, it was a powerful (for the time) pocket computer, with a color screen, direction pad, and syncing features for e-mail and contact info. With the aid of the GSM GPRS expansion pack that fits on the back of the PDA device, it added cell phone functionality. This in essence made it a smartphone, albeit a smartphone that charged on a docking station and had a jack for a dial-up Internet connection. Surely there are several other oddball devices that wound up to be more forward-looking than initially believed. Let us know in the comments section. Looking back at obscure devices that proved to be prototypes of our most common business tech items.